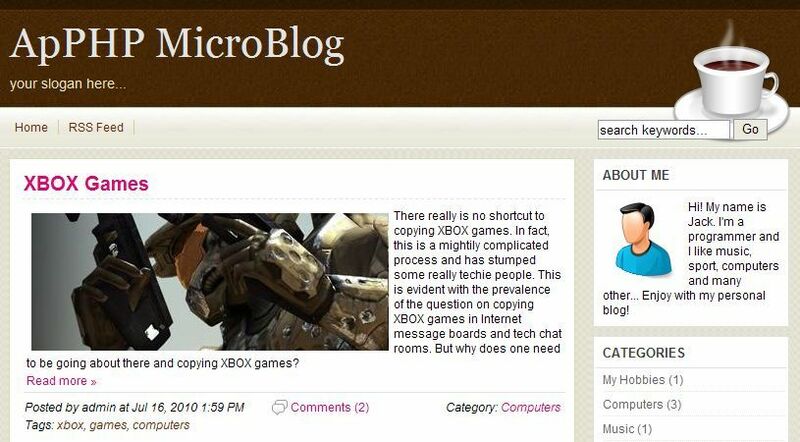 We've released new version 4.0.1 of ApPHP MicroBlog. 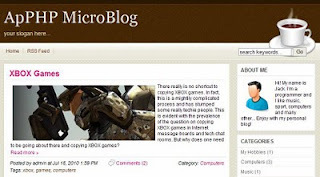 ApPHP MicroBlog (ApPHP MicroB) is very simple and powerful PHP blog software. This product enables you to start your own blog within minutes. You can easy add and manage your posts and posting categories. This script is perfect for web designers and developers that want to empower their site and save the time on editing web pages every time they want to add more news. The script is very flexible, it written in object-oriented style and allows web developers easy change it to suit their needs.